Peter heads Gilbert + Tobin’s Communications, Media and Data practice in the Technology, Media and Telecommunications group. His primary focus is commercial and corporate transactions and associated structuring and regulation for corporations active in the technology, media, communications and internet business fields. Peter has an active transactional and regulatory practice centred upon complex technology, media and content commercial and corporate deals in the Asia Pacific region, including communications and media infrastructure, platform and services arrangements, e-business, cloud, spectrum sharing and outsourcing agreements. He also advises in relation to communications and e-payments regulation, privacy, interception and data protection. He has particular expertise in cross-border deals and acting for telecommunications and media operators throughout South East Asia. He is ranked as a leading lawyer in all major legal directories and was voted the communications industry’s Communications Ambassador of the Year 2012/13 for his contribution to the Australian communications industry. The 2015 International Who’s Who Legal: TMT nominated Peter as one of sixteen most highly regarded individuals, selected from practitioners worldwide. Peter was one of only ten lawyers from across the Asia Pacific region short-listed for the 2014 Financial Times Asia-Pacific Innovative Lawyers ‘Most Innovative Lawyer’ Award. 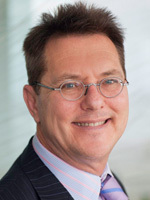 Peter chairs the Law Council of Australia’s Media and Communications Committee and he is also a director of the International Association of Privacy Professionals Australia and New Zealand (iappANZ).